3.6 acres fronting Yontz Road (240ff); Cobb Road (185ff) and CSX Rail Line, cleared and flat. 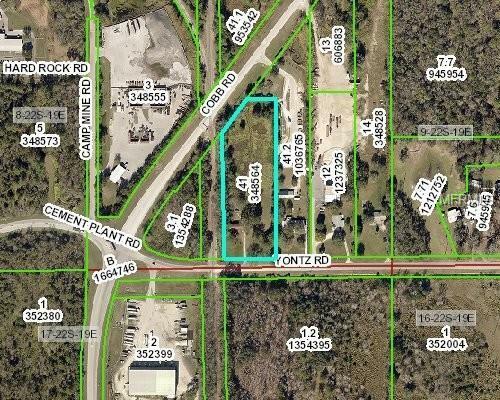 Currently zoned AG, however, the property has been designated by Hernando County for Industrial Future Land Use. Great location with great traffic counts as this road is used as a ''cut thru''. Well, septic and electric on property as well as an older mobile home which needs work or can be removed.